Launched in 2017, Innovate4Climate has become the place where finance, markets, and technology meet to accelerate climate action. The Paris Agreement calls for nothing short of the global economic transformation, requiring a fundamental shift in the way most human beings organize their daily lives. It starts from the goods we buy, to the way we light up our homes and power up mobile devices, to the transportation we take to work, to the food on our tables, the roofs over our heads and the environment around us. National climate action strategies or NDCs submitted as part of the Paris Agreement require USD 23 trillion investments in emerging markets between now and 2030, opening investment opportunities in renewable energy, low-carbon cities, energy efficiency, sustainable forest management, and climate-smart agriculture. While climate change poses an immense challenge to humanity, it also represents a potential – perhaps the opportunity of a lifetime. 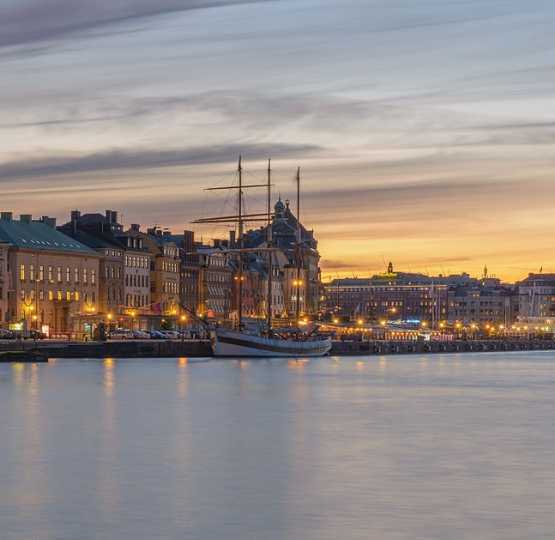 Innovate4Climate is a new global dialogue of government, multilateral, business, banking and finance leaders focused on shaping the next generation of climate finance and policy instruments. The first edition of the event included a two-day conference, a Digital Media Zone, workshops and side events, and a networking and exhibition area built around six thematic streams: Scaling Up NDCs, Carbon Markets, De-risking Investments, Climate Resilient Development, Green Growth Policies, and Metrics and Tools. At Innovate4Climate there was also the chance to connect with the sectors driving the future of climate finance and markets, and network with leading experts, technology, and financing providers, institutions, and corporations to explore potential partnership and emerging business opportunities within the next economic revolution towards low-carbon and climate resilient development. The Digital Media Zone, powered by Connect4Climate, the World Bank Group’s flagship global partnership program dedicated to taking on climate change, was an interactive media hub and gathering space at Innovate4Climate Finance and Markets Week for conference participants and attendees to reach a broader audience through visual and social communications. 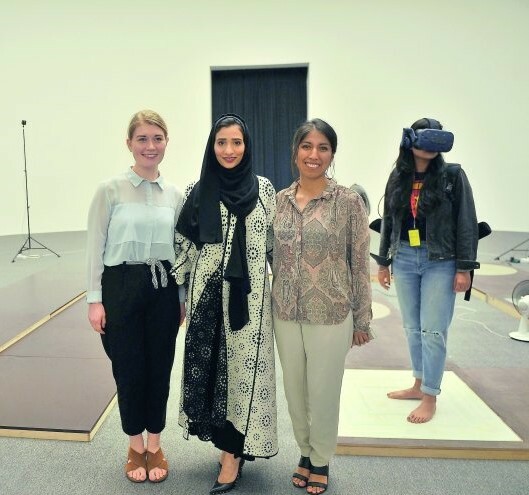 The Digital Media Zone also provided a platform for content creators and influencers to communicate innovations, partnerships, and solutions in support of Climate Action. The Digital Media Zone hosted participations from speakers of the Innovate4Climate Finance and Markets Week, attendees to the conference, student and youth groups, private sector representatives, and civil society leaders. Below you will find a relive of the main interviews that took place at the Digital Media Zone between May 24-25, 2017. Max Edkins, Climate Change Expert, Connect4Climate, World Bank Group, launched the Digital Media Zone during a reception with a screening of Film4Climate Videos to celebrate climate action from every corner of the world. Then Inka Vogt & Fabian Beveridge, Climate Ambassadors Momentum for Change & Climate Neutral Now, UNFCCC, shared more about their two-wheels adventure. Inka and Fabian have been cycling across Europe and have interviewed various projects involved in making a difference in our climate. 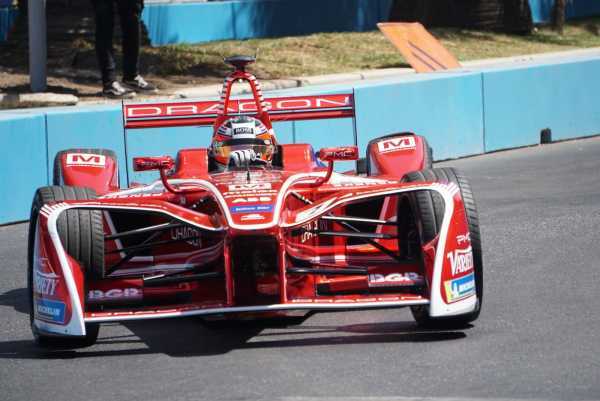 You can follow their challenge on their Facebook page Europe on Four Wheels. Later, Dani Tinez, Graphic Designer, Animator, Filmmaker & Video Editor, talked more about why he decided to participate in the Film4Climate Global Video Competition. Dani and his partner Jay-Carter Cole ended up winning the Film4Climate Put a Price on Carbon Pollution Award (PSA). After watching "Your Choice," James Close, Director, Climate Change, World Bank Group, took over the Digital Media Zone stage to give an inspirational keynote followed by an engaging introduction of Mootral and Zaluvida by its President Michael Mathres. How can we accelerate Climate Action? John Roome, Senior Director for Climate Change, World Bank, shared some useful insights. This Facebook Live session was conducted by Mehreen Sheikh, World Bank Group. Mafalda Duarte, Head, Climate Investment Funds, discussed with Mehreen Sheikh, World Bank Group, how to scale up climate finance. Bertrand Piccard, Initiator, Chairman and Pilot, Solar Impulse, made history in energy and clean tech flying Solar Impulse. Piccard flew from New York City to Sevilla, Spain, in a solar aircraft, completely emission-free, without the use of a single drop of fuel. 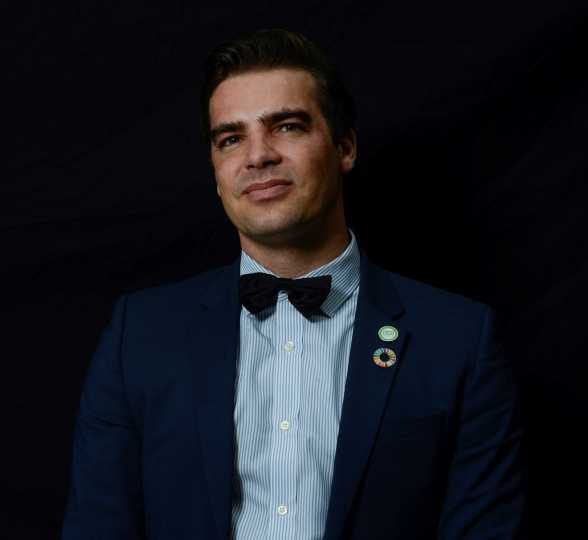 Recap this interview conducted by Max Edkins, Connect4Climate, and get inspired! Alzbeta Klein, Director and Global Head, Climate Business, International Finance Corporation (IFC) talked about climate business with Christoph Jungfleisch Group Credit Executive/Head of Credit of Mobisol Group about Mobisol's plans to scale it up by 2020. How can we help countries turn climate plans into action? Andrew Steer, CEO, World Resources Institute, answered to this question in a Facebook Live session moderated by Max Edkins, Connect4Climate. Watch all Facebook Live session on the Connect4Climate's Facebook account or on the Connect4Climate's Youtube Channel. 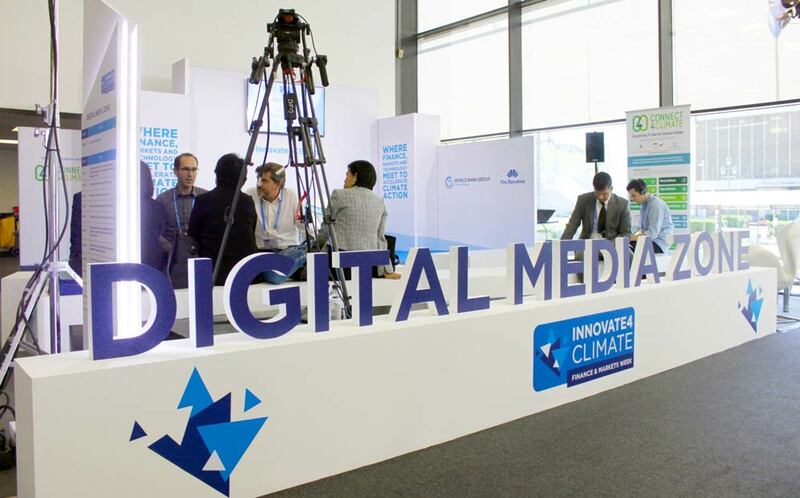 May 25th, day 2 of the Digital Media Zone, continued with the flow of Facebook Live sessions with attendees to the Innovate4Climate conference, private sector representatives, and civil society leaders. Marcene Broadwater, Global Head of Strategy and Business Development, International Finance Corporation, discussed with Max Edkins, Connect4Climate, about green buildings, low carbon economy and more. What investments are needed to advance Climate Action? Laurence Tubiana, CEO, European Climate Foundation, told us more about this issue in this Facebook Live session conducted by Max Edkins, Connect4Climate, live-streamed to the Connect4Climate Facebook page. Michael Liebreich, Founder and Chairman of the Advisory Board Bloomberg New Energy Finance discussed energy transition and opportunities for low-carbon economies. Recap the interview mediated by Max Edkins, Connect4Climate. Have you heard about Blockchain Revolution? Alex Tapscott, Co-Author, How the Technology Behind Bitcoin Is Changing Money, Business, and the World discussed with Mehreen A. Sheikh, World Bank Group, how it is changing the world.